London continues with an activity that makes it a key global center for tech and spcial to startup events. In the last years London has been playing an increasing special position in a central role for the internet and entrepreneur economy. So events for startups are increasing important to show how dynamic a city is attracting talent and creating hubs for entrepreneurs and investors. Even in economic downturns there’s always room for great ideas and startups. One of the accelerators for those that have great ideas and need help to materialize those as quickly and as good as possible is Europe’s leading accelerator program for startups: Startupbootcamp. Startupbootcamp is one of the most dynamic startup hubs and historical event with a EU footprint that has been growing with success and expanding a bit all over Europe. On the upcoming 25th March there will be a London Investor Demo Day organized by Startupbootcamp. For one day a year in London, Startupbootcamp Alumni from all of its different programs come together to pitch to investors. It gives both Alumni and Investors in London another chance to get to know each other following the city programs main demo day. Startupbootcamp is a mentorship driven program. Mentors drive the startups acceleration over the 3 month program – and often for months or years afterwards. The Startupbootcamp founders team, together with their group of international mentors, can open the door to nearly every investor, customer or partner. The value is the quality of that network. The mentors work closely with the startups to develop their product, validate their business model, get their first pilot customers and aim to get funding at the end of the program. 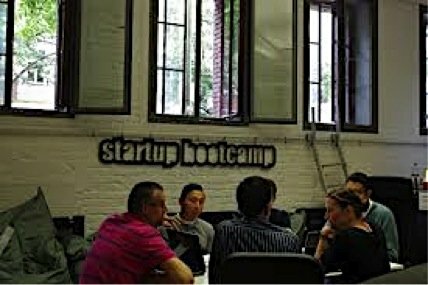 Startupbootcamp facilitates this mentorship driven model by providing startups with the essential tools needed to have a concrete focus during the 3 month program. the platform to pitch to over 400 investors at Investor Demo Day. Startupbootcamp can be found in Amsterdam, Berlin, Copenhagen, Dublin, Haifa and London. Archify records every page you browse, every item in your Facebook or Twitter stream. We capture the full text and a screenshot and make them searchable. Brisk is a technology platform that breaks down the invisible walls between devices and enables developers to build applications that combine multiple screens into a unified experience. Capsule.fm plays user generated online news sources, social media streams, local weather and more as radio-program on phones. Getbulb Transforms complex data into clear pictures, without the limitations of pre-defined styles of a typical spreadsheet. LayerGloss is an easy way to make great iPad and iPhone publications without any technical knowledge. Poikos is a computer vision systems house which has developed a patent-pending technology for imaging and measuring the body in 3D. Read more of Startupbootcamp’s family here. A great trackrecord, 70% of their startups can funded! He is the co-founder and Managing Director of Startupbootcamp. He initiated and ran the hugely successful www.copenhagen.startupweekend.org, out of which came Memolane.com. He co-founded and host the monthly F1rst Friday networking events, edits the Copenhagen edition of the [Startup Digest], and created www.Startupdenmark.dk. 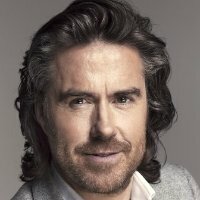 He’s co-founder and CEO Startupbootcamp Amsterdam Currently writing “I’M HUNGRY..” a book which explains all about setting up & accelerating successful companies in the digital age. 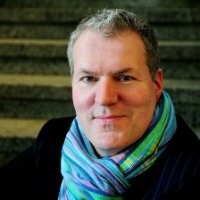 “IM HUNGRY” is written together with his business partner and great friend Ruud Hendriks (also Co-founder of Startupbootcamp). I’M HUNGRY will be released in English & Dutch in March 2013.